Perseveration is the uncontrollable repetition of certain responses to stimuli both external and internal. Many people with brain injuries and developmental disorders exhibit perseveration. “Perseveration may also refer to the obsessive and highly selective interests of individuals on the autism spectrum” (Wikipedia). When the young lady in the picture below was a young child, she repetitiously tore the pages of any book she could put her hands on. The ripping sound seemed to satisfy some need. We had to hide them for a while. We bought her board books and vinyl books, to help her enjoy books without the opportunity to destroy them. She also would repeat the same sentences verbatim regarding her cats or to dogs to anyone who would listen. Perseveration in high functioning people on the autistic spectrum can also find expression in perseverance, a related concept. “Perseverance: steady persistence in a course of action, a purpose, a state, etc., especially in spite of difficulties, obstacles, or discouragement.” (http://dictionary.reference.com/browse/discouragement). This young lady is my daughter. Her steady persistence in the face of obstacles and discouragement led to an Associates degree in accounting, and then a bachelor’s degree. Her face says it all – I accomplished what others said was impossible. She has severe learning disabilities, autism, and had a brain infarction at birth. Her speech impairment was in the severe category for many years; she had speech therapy well into high school. She learned to read in the eighth grade due to the persistent efforts of her wonderful teachers. Among the first book she read independently was The Lord of the Rings. Before reading the trilogy, though, she listened to many books on tape through the Reading for the Blind program. Her regular education teachers said it would be a waste of money and time for her to attend college. A neuropsychologist told us that at the age of 19, it would be impossible for her to succeed at college, and even if she succeeded with a few courses, she would not be able to understand upper level courses. Finding meaningful employment is very difficult for high functioning people on the autistic spectrum. 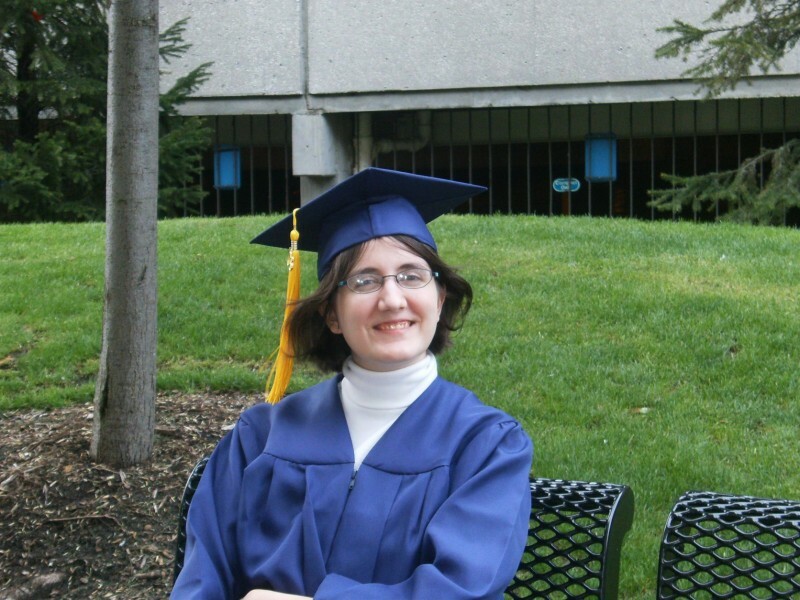 She graduated from college in 2010, but has yet to find permanent employment. But still she persists in her efforts. She volunteered at a homeless shelter for over a year using her accounting skills. This fall she had temporary full time work with them during holiday season (three months). She continues to work a few afternoons a week. She continues to persevere in her hunt for permanent employment. She has to find a job that she can get to by bus, because due to her physical limitations, the driver’s rehabilitation program has deemed her unable to drive. Here is some information regarding Crosswinds. Dave and Amanda Blok are planting a missional church in the Godfrey Lee neighborhood of Wyoming, Michigan. Dave is the pastor of CrossWinds Church of Godfrey-Lee, which was launched in the Fall of 2011. The congregation meets for public worship gatherings in rented space at the Early Childhood Center on Joosten SW.
CrossWinds of Godfrey-Lee is a daughter church plant of CrossWinds Church of Godwin Heights, another neighborhood in Wyoming. CrossWinds of Godfrey-Lee is first of all truly local church; its mission field consists of one-square mile of older homes in north Wyoming. Dave says one of the goals of a missional church is to be “hyper local.” Walking to church should be an option. So rather than growing a bigger church in Godwin Heights, the Bloks and several members of that congregation were sent to plant a local church in Godfrey-Lee. The very name, CrossWinds of Godfrey Lee, demonstrates their commitment to a particular neighborhood. The Bloks have demonstrated their commitment to the people of Godfrey-Lee by the simple act of becoming their neighbors. While many families are moving out in order to escape the increasing poverty and crime, the Bloks bought a house in the neighborhood this winter. 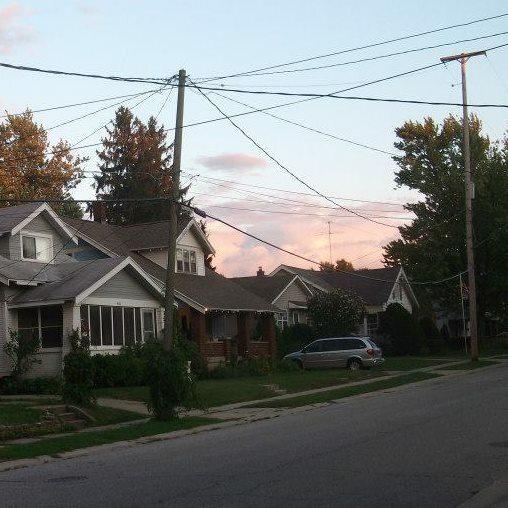 Other members of the Godwin Heights church are intentionally buying homes in the Godfrey-Lee neighborhood in order to love, serve, and reach their neighbors. The aroma of warm pancakes is one of many ways that Dave and Amanda welcome their neighbors into their lives. Once a month they serve a pancake breakfast to the people on their block. “We reach people by being good neighbors, by throwing good parties,” says Dave. The members of CrossWinds also hold cookouts, set up a screen in their backyard for movies, and hand out bottles of water before football games. Being good neighbors means having the opportunity to invite their neighbors to church, to share Jesus. As a result of their efforts, they’ve seen people come to faith in Jesus. This young church has baptized new believers in recent months. When Jesus told the story of the Good Samaritan, he asked the teacher of the law “who was the neighbor to the man who had fallen into the hands of robbers.” The teacher answered, “The one who had mercy on him.” People have come to know Jesus because the members of CrossWinds Church have shown mercy to their neighbors. God put lament in the Bible for a reason. To help us. To instruct us. To care for us. Around 30 percent of the psalms are laments. Many of the Psalms of David are laments (when his baby died after his affair with Bathsheba, when Saul hunted him down in the caves, when his own son tried to kill him). Many of his laments came after he had turned away from God. Yet God called David “A man after my own heart.” (Acts 13:22). Why? Because he turned back to God. The important thing is that we are turning to God. Some may feel that it is wrong to question God, but the Bible is rife with people who cry out to God, “Why?” Why? Why? Why did my loved one die? (David) Why did I lose my job? Why was Jerusalem destroyed? (Jeremiah) Why did my son turn against me? (David). Why did I lose my family, my wealth, even my health? (Job). We suffer the same as those biblical examples. Why does my child have autism, cancer, learning disabilities, etc.? Why have my loved one(s) turned away from God? Why have I lost my health, job, home? Why Why Why, we cry out to God. God knows our thoughts. We cannot hide them from him. He knows we are dust, weak, frail; even the strongest of us.But God does not berate us for our laments. When our questions are directed at God, we are communicating with him or or sometimes at him. It is okay to question God, to go to him in distress. The important thing is to turn to Him, not away from him.